Properly Balanced Water Helps Save Money! 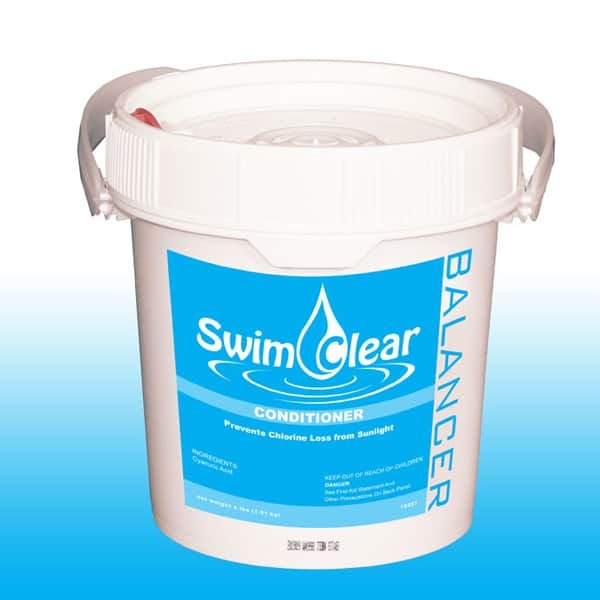 Pool Supplies Like Conditioner Help To Prolong Chlorine Life. Chlorine is typically the largest expense in pool water maintenance. This Conditioner / Stabilizer uses Cyanuric Acid (CYA) to help save money on pool maintenance by making your chlorine last longer. When chlorine is exposed sunlight, it dissipates. Conditioner helps to slow that process and allows the chorine's life to be extended. Saving money on chlorine!